From Goodreads: One afternoon, police officers show up at Ben Silver’s front door. Minutes after they leave, his parents arrive home. Ben and his little sister Olive are bundled into the car and told they’re going on a holiday. But are they? Thoughts: This is the first of the Children's Book Council of Australia (CBCA) shortlisted Younger Readers books. It definitely falls into the upper end of the younger readers section. 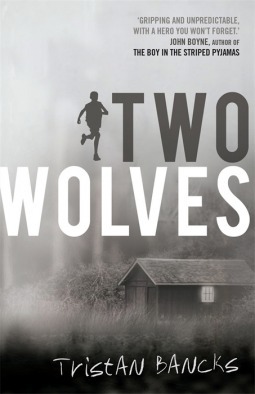 The book explores some interesting themes, right and wrong, family and loyalty towards them. It would appeal particularly to boys, especially those who live similar lives to Ben in terms of a lot of screen time and not a lot of outside, getting dirty time. It would be interesting to ask them how they think they would cope, what skills they would need and what decisions they would make. I think they would also identify with his insecurity and how he is unsure of what is going on and what he should do. His annoyance at the wonderfully stubborn Olive, his younger sister, yet his drive to look after her is also something to be explored. The tension in the book is well built. You know things can't continue the way they are going, but you're not sure how they will be resolved. You know that regardless, Ben will never be the same and quite possibly, despite the hardships, he will be better off for the experience he has had. 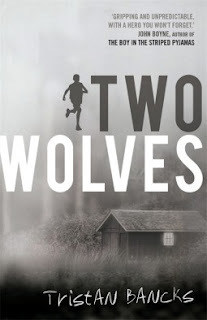 Two Wolves gets 3 stars!